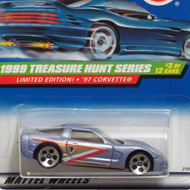 2/12 from the 1999 Treasure Hunt series. 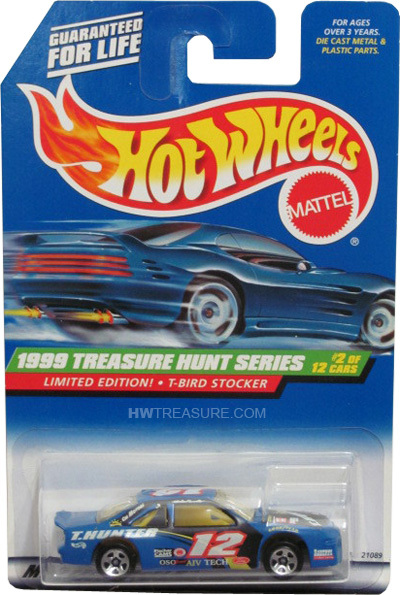 The blue T-Bird sports a red and white “12” on the sides and roof, “T.HUNTER” on the sides and hood, black and yellow graphics, and many other logos and graphics. 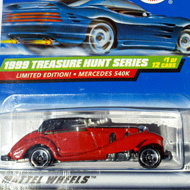 It has clear windows, yellow interior, 5-spoke wheels, and a grey plastic Malaysia base.